A wide-ranging review concerned with the social impacts of cultural and arts engagement and sports participation. Research generally points to benefits associated with all of these forms of activity. More specifically, research has shown that cultural and sports activities can lead to ‘improved physical and mental health (e.g. reduced stress levels, reduction in anxiety and blood pressure, reduction in visits to GP etc)’. Qualitative studies have also shown: improved communication; new skills and confidence; improved interpersonal skills; increased social networks, and an improved sense of well-being. Ruiz, J. (2004). 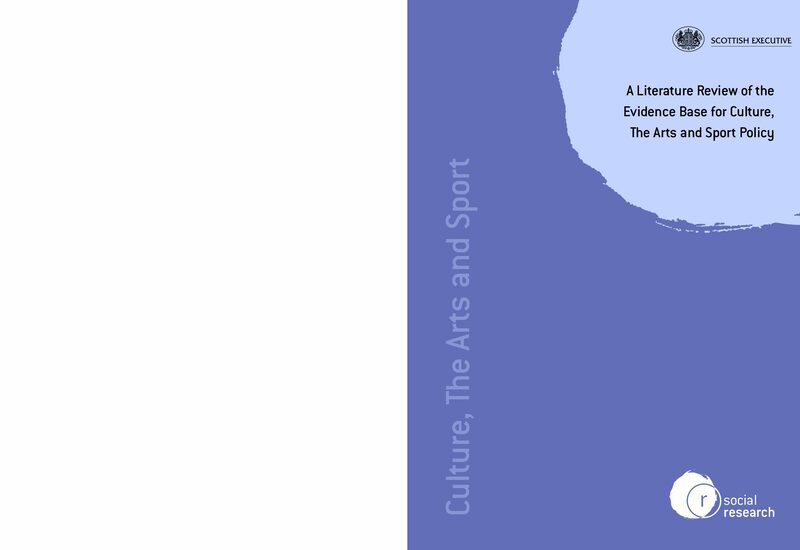 A literature review of the evidence base for culture, the arts and sport policy. Edinburgh: The Stationery Office.